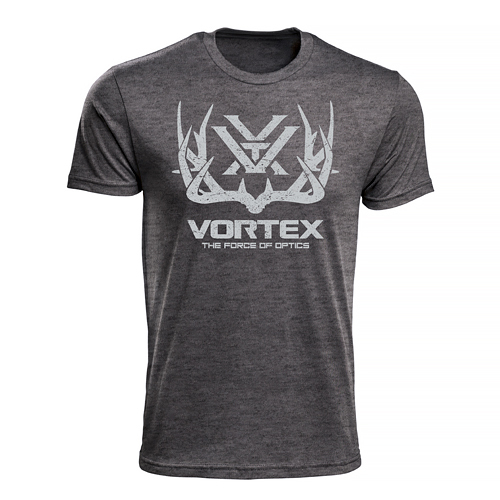 The grey Vortex Mule Deer T-shirt. 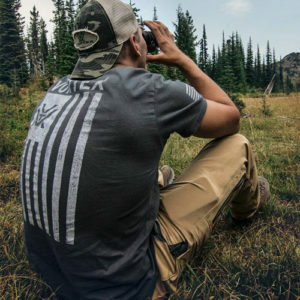 For all those who are truly Muley crazy—this earthy grey shirt is just what you need to feed your passion. 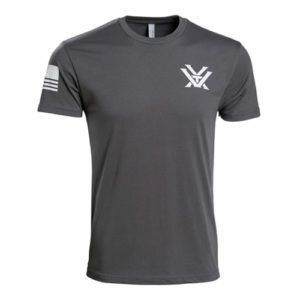 *These measurements are approximate and may have some variance. 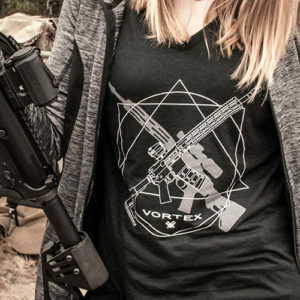 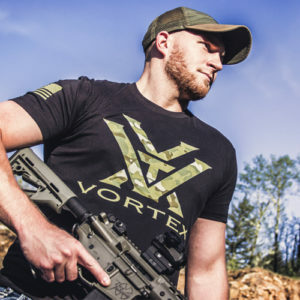 The grey Vortex Patriot T – wear the Vortex nation with pride! 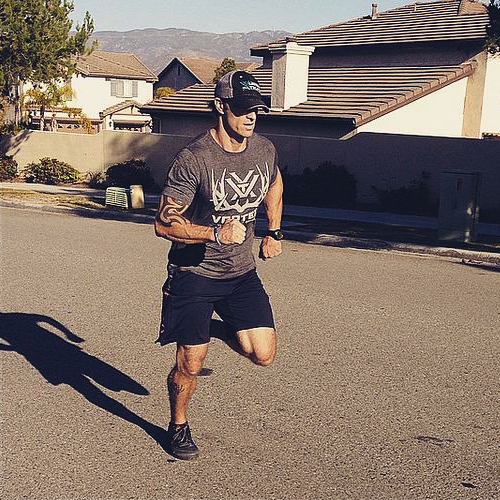 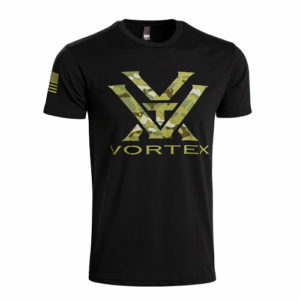 The classic green Vortex OD T-shirt – Military inspired! 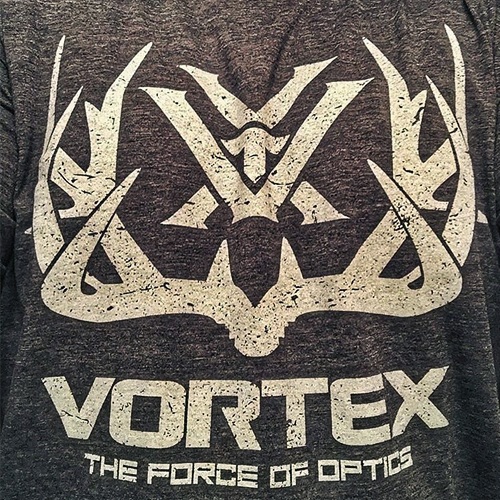 The black T-shirt with a sweet camouflage Vortex logo! 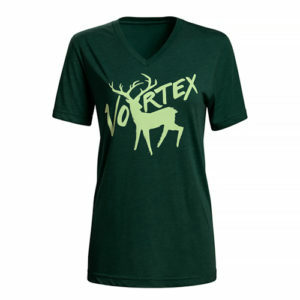 The ladies Emerald Elk T-shirt. 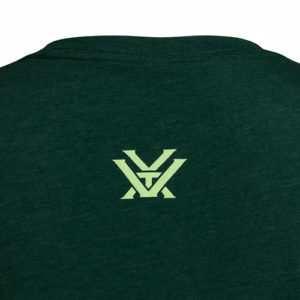 Ultra-comfy relaxed fit. 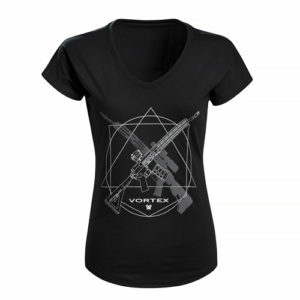 The ladies Black Rifle T-shirt. 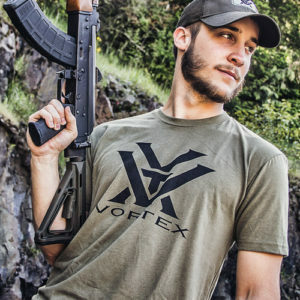 Bold design, bold statement!